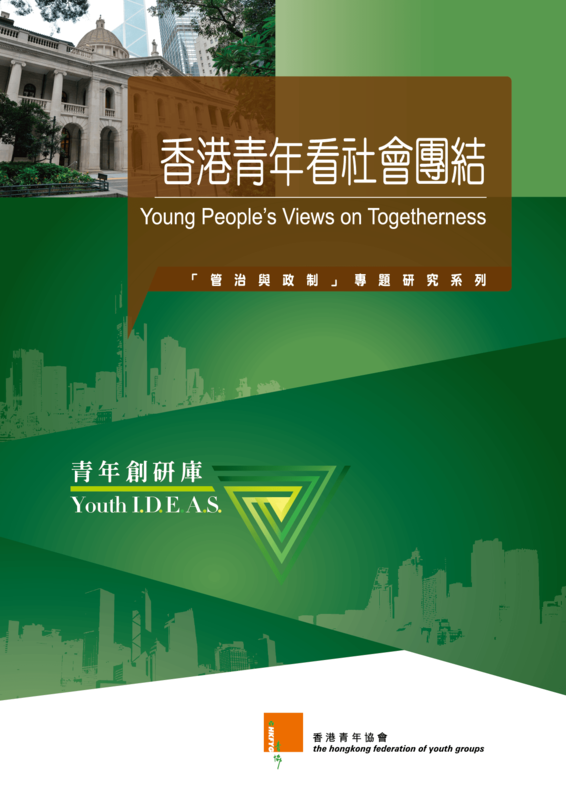 A territory-wide telephone survey on 519 young people aged 15 – 34 noted that an overwhelming majority (95.2%) of respondents considered social togetherness to be important to Hong Kong. In their views, the greatest meaning for Hong Kong to have social togetherness is to improve people’s livelihood (27.6%), keep it moving on (27.4%), or increase people’s sense of belonging (20.8%). Close to half (49.3%) of respondents referred to the sense of belonging when asked about the crucial element for social togetherness. This is followed by the option of mutual trust among people (43.8%). One-third (33.3%) said that it was a society with rational based. As high as 87.3% of respondents did not agree with the notion that “whether HK is having togetherness or not is none of their business”. Respondents indicated an average of 7.30 points when asked to rate the extent to which they felt the society was in tearing in recent years (on a scale of 0-10, with 10 denoting very serious, and 5 represented a general). It is usual for people to have different views in a diversifying society. Yet, it does not mean social togetherness is impossible. It requires the cooperation and engagement of each member in society. Whether Hong Kong could be a society with a greater sense of togetherness would be a common challenge for the government, the civil society organizations, each citizen, and the society as a whole.